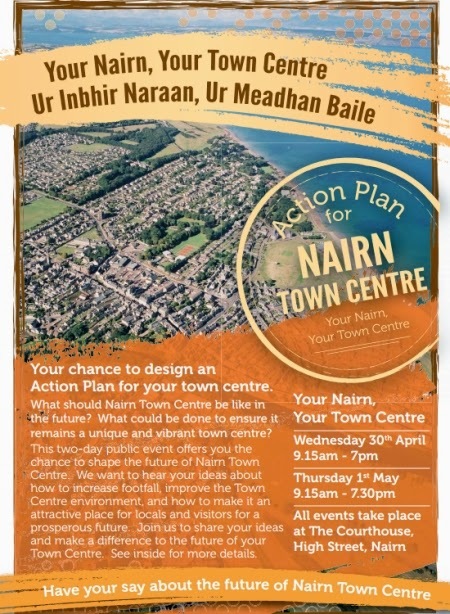 "Your Nairn, Your Town Centre gives you the opportunity to make a difference to the future of Your Town Centre. This public event will help the Council prepare a plan that will identify short, medium and long term actions for the Town Centre, including issues that require testing, funding and delivery." You can read the entire information leaflet online here. Those unable to attend can fill in an on-line questionaire here. Any Gurnites got any ideas for the town centre? Your chance is coming up.